TAOlight is a Sino European lighting products manufacturer based in Shanghai (factory) and Hong Kong (international sales office). We design, assemble and distribute our decorative and functional lighting products to leading DIY and Mass Retailers all over the world. Founded in mid 2004, TAOlight has been growing at a rapid pace with distribution in 40 countries. Our 2 factory sites cover about 25,000m2 and host 24 assembling lines with almost 1000 employees. We have our own metal and lamp shade workshops, as well as in-house lab. 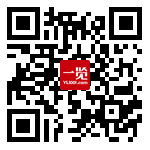 As young and fast-growing, we bring wide development potential and bright future. To realize our growth expectation, we also need your knowledge, experience and dedication. Join us and grow with us! Responsibilities岗位职责： 1. 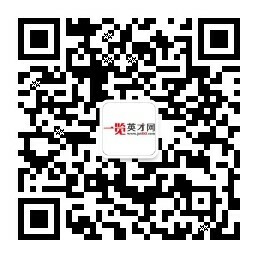 新供应商品质保证能力的评定 Evaluate new suppliers on their capability of QA/QC 2. 供应商新产品的品质风险评定，包括供应商新产品的首检,如果必要 Evalu..
工作职责： 1.维护和优化ISO9001质量管理体系（QMS），主要是设计和开发方面 Maintain and optimize ISO9001 Quality Management System (QMS)， mainly focus on the quality syste..
Responsibilities岗位职责： 1. Supports china factories commodity strategies by identifying sources and sourcing materials to meet company cost/quality/delivery objectiv.. Responsible of electronic and driver design of Solid-State Lighting products, including LED lighting fixtures, light sources and smart lighting products. Ensure th..
岗位职责 Responsibilities: 1. 结构设计和分析，包括要求分析，偏差范围，热能分析，FEA结构分析等 Mechanical design and analysis include requirement analysis, tolerance stackup,..